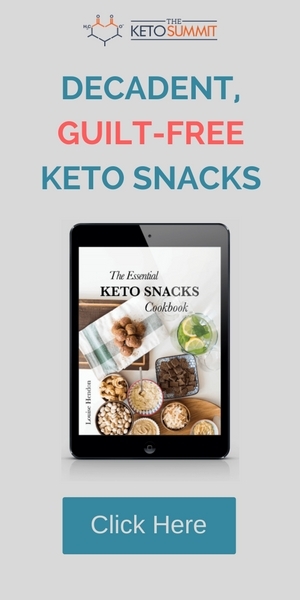 This recipe is from Louise Hendon of the Keto Summit who’s the author of The Keto Snacks Cookbook and creator of the 3-2-1 Keto Meal Plans. This recipe is one that I always come back to. It only has 1g of net carbs per serving. And it has bacon… Who doesn’t love bacon!? If you’re new to low carb and Keto cooking, I’ll also explain the benefits, differences, and drawbacks to some of the most common keto cooking oils. This recipe calls for either olive oil or avocado oil. But you could really use any keto-friendly oil that you’d like. For example, you could substitute and use ghee, coconut oil, lard, etc. The oil that you use will influence the flavor of the dish, so keep that in mind. 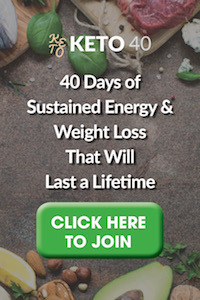 I’ll give some brief advantages and disadvantages of the main keto oils below. Olive oil is an anti-inflammatory oil that has been shown to protect heart health. It’s got lots of antioxidants and has a rich, nutty flavor. Besides cooking with it, it’s also used for drizzling on vegetables or salads. Olive oil has a smoking point of 350F. The smoking point of an oil is the temperature when an oil starts to burn and smoke. When this happens, the oil may lose some of its beneficial properties, so it’s important to avoid overheating the oil beyond its smoking point. Recently, coconut oil has been labeled by a superfood by some experts (and for good reason). It’s got antibacterial, antifungal and antiviral properties. But beware: coconut oil can bring coconut flavors to your meal. So if you aren’t too fond of the flavor of coconut, then I’d recommend going with another keto-friendly oil. Until a couple of years ago, I didn’t even know that avocado oil existed! One great thing about avocado oil is that it has a smoking point of at least 425F. So if you’re ever cooking foods at a high temperature, then avocado oil is one of your best options. While avocado oil has gotten cheaper, I still find that it’s much more expensive than some of the other keto-friendly oils out there. Think of ghee as butter’s better self. In our version of keto, we don’t recommend dairy products, including butter, but we are totally gung-ho on using ghee as it has most of the casein and lactose removed. And unlike butter, which has a smoking point of under 350F, ghee has a smoking point of over 450F, making it very versatile to use when cooking or frying your favorite foods at high temperatures. I hope you enjoy these bacon stuffed mushrooms and for more Keto recipes, please check out my Keto Snacks Cookbook and Keto meal plans. Clean the mushrooms (remove the stems carefully with your hands – they should pop and then come out cleanly after you wriggle it a bit). In the food processor, food process the bacon, onion, and mushroom stems to form a mince. Heat up a frying pan, add in the oil and fry the mince until slightly browned. Using your hands and a small spoon, stuff the bacon mixture into the mushrooms. Place mushrooms onto a baking tray and bake for 15-20 minutes until slightly browned.